This Christmas, FAR was happy to accept the generous donations of Mr. and Mrs. Michael and Mary Haratounian. As a result of their generosity, FAR was able to implement some initiatives in the Vanadzor Orphanage as well as the Nubarashen Special School. 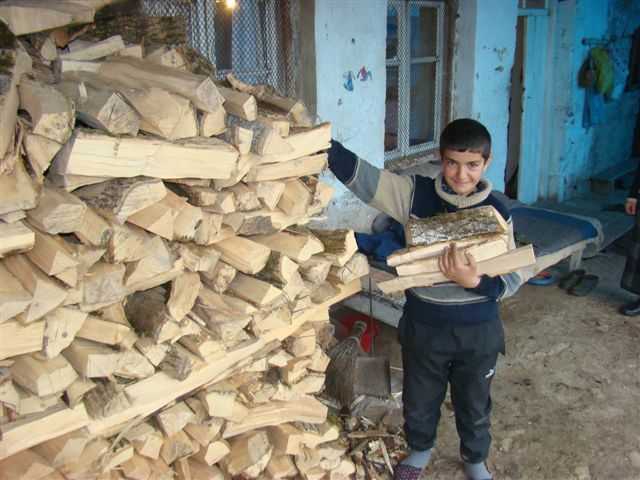 Gas Pressure Regulation equipment was purchased for the Vanadzor Orphanage, which should lead to a significant cost savings as well as an improvement in the natural gas supply. Additionally, a water tank was installed to temporarily supply water to the orphanage kitchen. At the Nubarashen Special School, FAR purchased warm winter shoes for the children, and a vacuum cleaner for the school. These incremental improvements in FAR’s facilities help to keep more children happy and healthy, and we greatly appreciate the support of our benefactors. Sevan Poghosyan is 4 years old, and he lives in the Tavush region with his family. 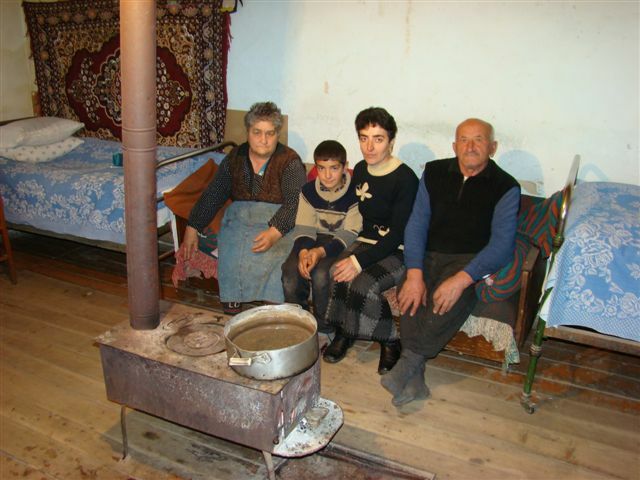 His family, consisting of his mother and grandparents, lives in a house which has been built only halfway. The family owns one cow, but does not even have a small plot of land to farm. The family’s main income is the grandparents’ pension. Stories like these display how John Thomas’ contributions (see January 5th Story) are much needed in the targeted region. The Christmas gift pack made Sevan very happy, and FAR is very thankful to donors who give us the opportunity to improve the lives of less fortunate children who live in the more remote regions of Armenia. During a recent distribution of Christmas gifts to children in the Shamshadin region (please see January 5th story), the FAR staff had a chance to visit the homes of two of the beneficiaries, both living in the Tavush region, situated close to the Azeri border. The conditions in these children’s homes was quite poor. Today, we will highlight Suren Grigoryan, and tomorrow, we will post a story on another beneficiary, Sevan Poghosyan. Suren Grigoryan is nine years old, and he lives with his mother and grandparents. He attends school, and is in the fifth grade. When he is not in school, he enjoys drawing and singing. He relies on his grandmother to teach him Armenian folk songs. The family makes ends meet by raising a cow for milk and tending to a small plot of land upon which they grow vegetables for their own consumption. Suren’s grandparents are retired, and their small pension is the main source of income for the family. Despite his young age, Suren helps the family: he works on the plot and tends to the cow. Of course, Suren does these tasks while maintaining his studies. Suren was two when his father passed away. He does not remember his father, but he maintains a loving idea of him and keeps his father’s photo on his desk. Suren dreams of becoming a soldier in the Armenian Army, defending our nation’s borders. The most recent distribution for CASP beneficiaries in the Javakhk region was held last month. An interesting feature of the Javakhk region distribution is that it happens during the harvesting season, when many of the beneficiaries are quite busy cultivating potatoes. Therefore, the children and their families are available to receive their CASP stipends only after the workday is complete. 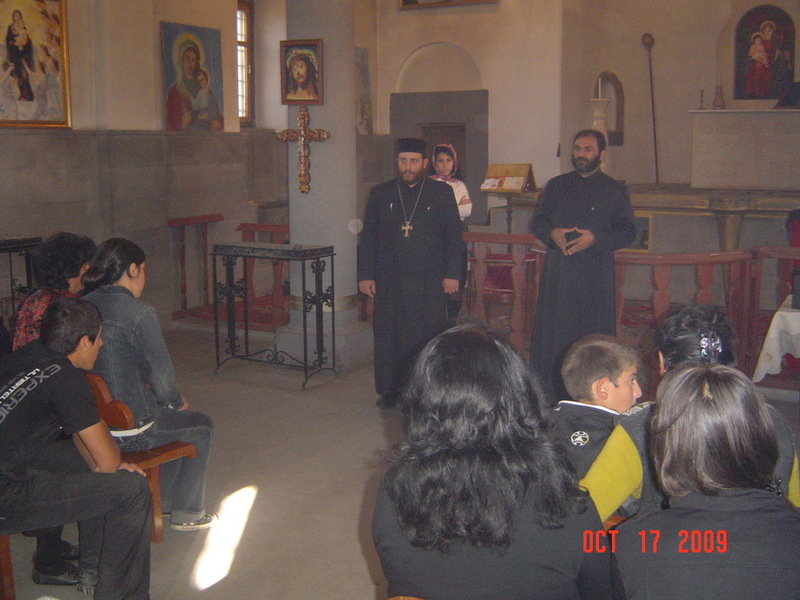 Vicar Father Babken Salbian from the Javakhk church, Father Armash, Father Tatev and CASP’s Javakhk Program contact Lusine Muradyan were responsible for the 99 cash stipends distributed to the CASP beneficiaries. FAR thanks these individuals, as well as our generous donors, for their ongoing support.